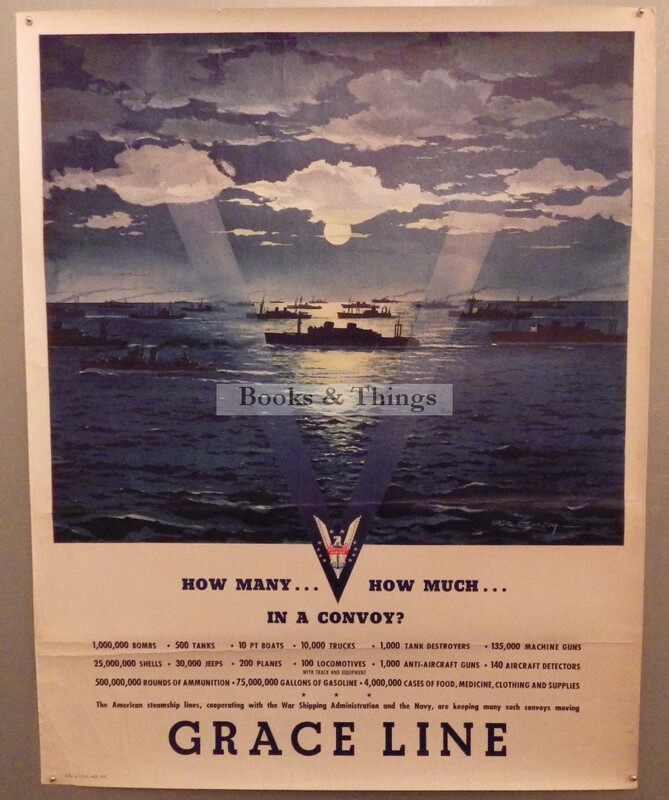 Hardie Gramatky: Grace Line poster c.1943. 74 x 58cms (c.29 x 23 inches). 2 horizontal creases. Grace Line’s passenger ships were used as troop carriers during the war. Category: World War Two Posters. Tags: Hardie Gramatky Grace Line poster, Hardie Gramatky poster.